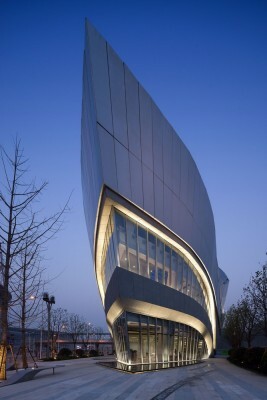 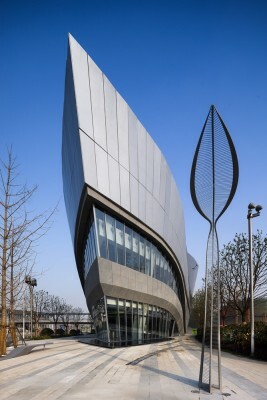 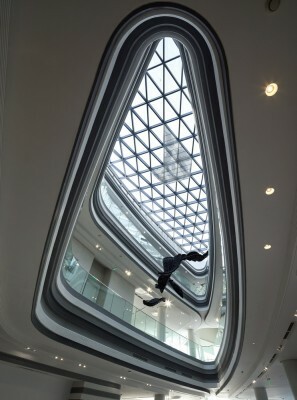 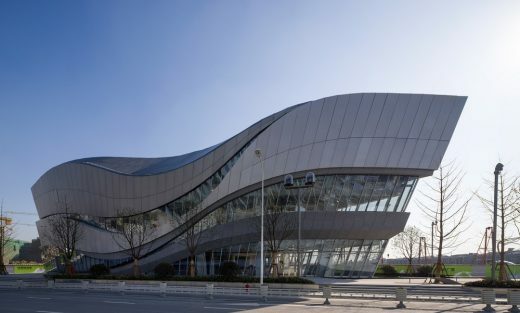 As the first completed building in Greenland’s Hongqiao World Centre designed by Aedas, the leaf-shaped gallery will exhibit future developments of the projects and will later be converted in an anchor store after the whole project is completed. 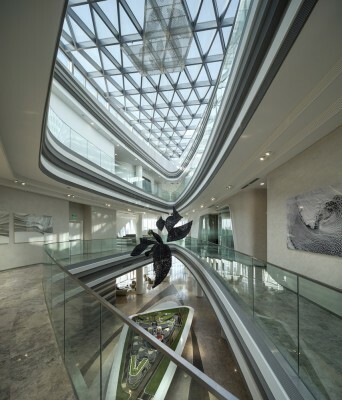 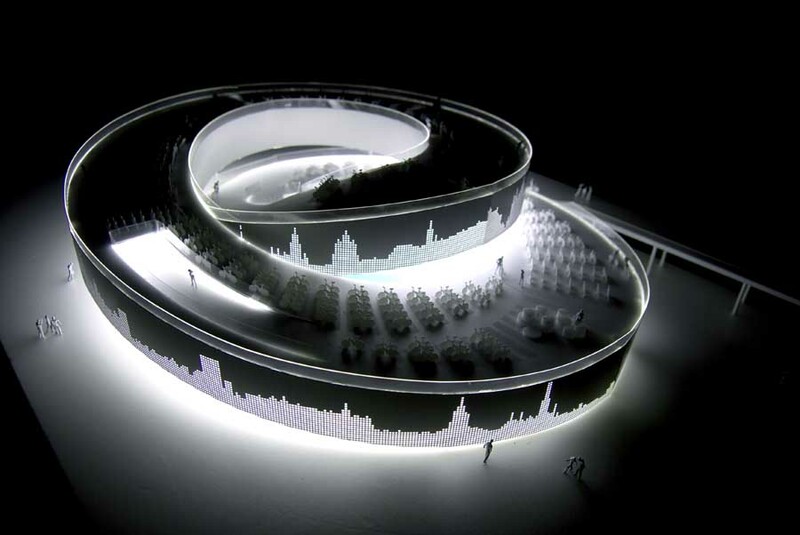 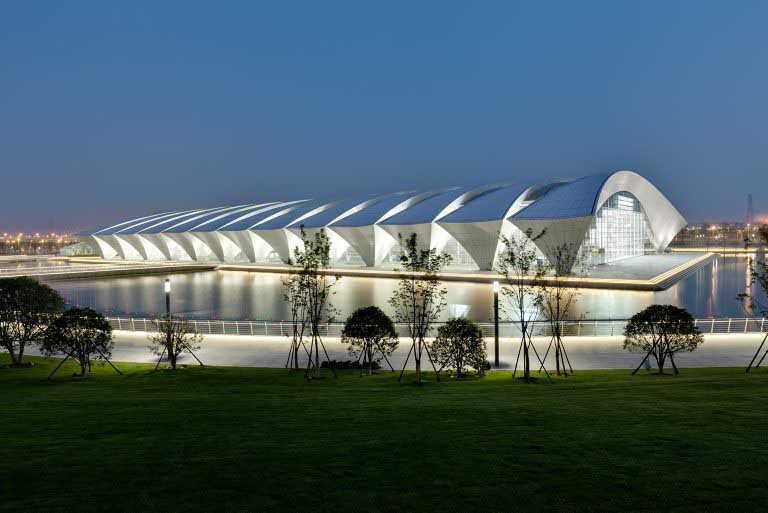 The form of the gallery was designed in response to the ‘clover leaf’ concept of the nearby Qingpu Xujing Conference and Exhibition Centre. 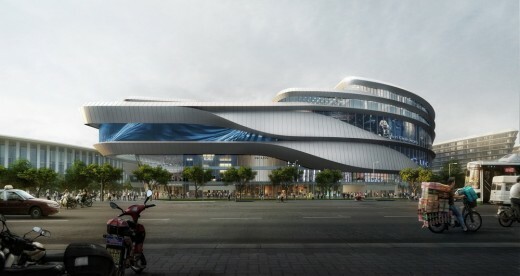 The gallery will be the first building visitors will see coming out from the convention and exhibition center and will be seductive with a strong visual impact. 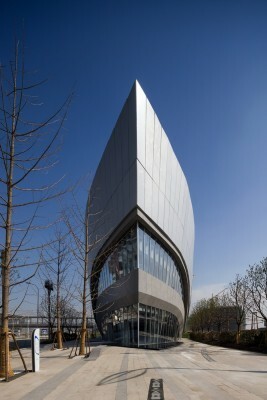 There is a pedestrian bridge directly linking the two properties. 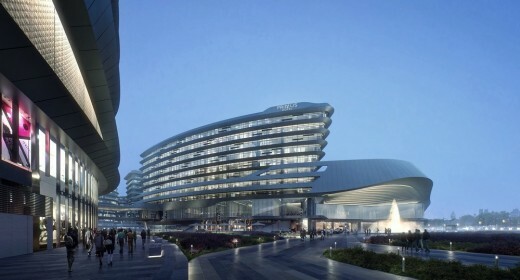 The gallery will later be joined by Hotel Primus and a shopping mall which will work together to form a very welcoming entrance to the whole development. 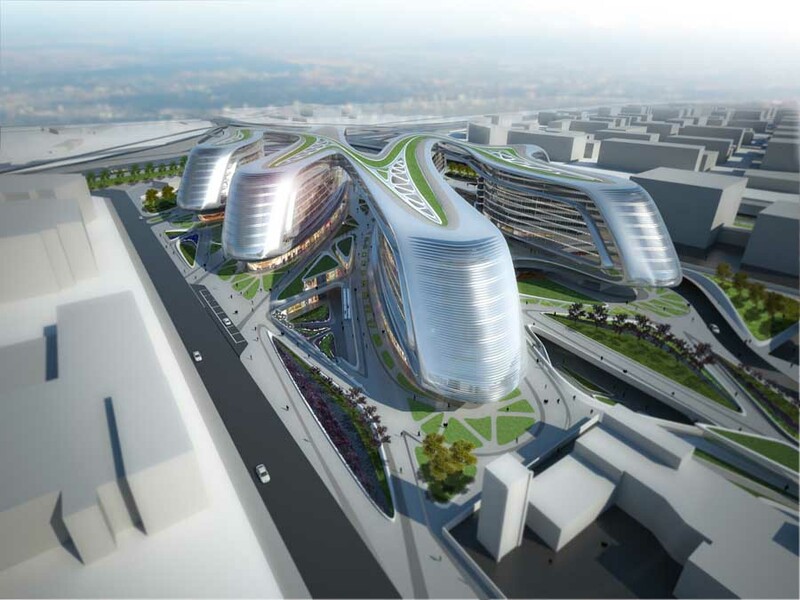 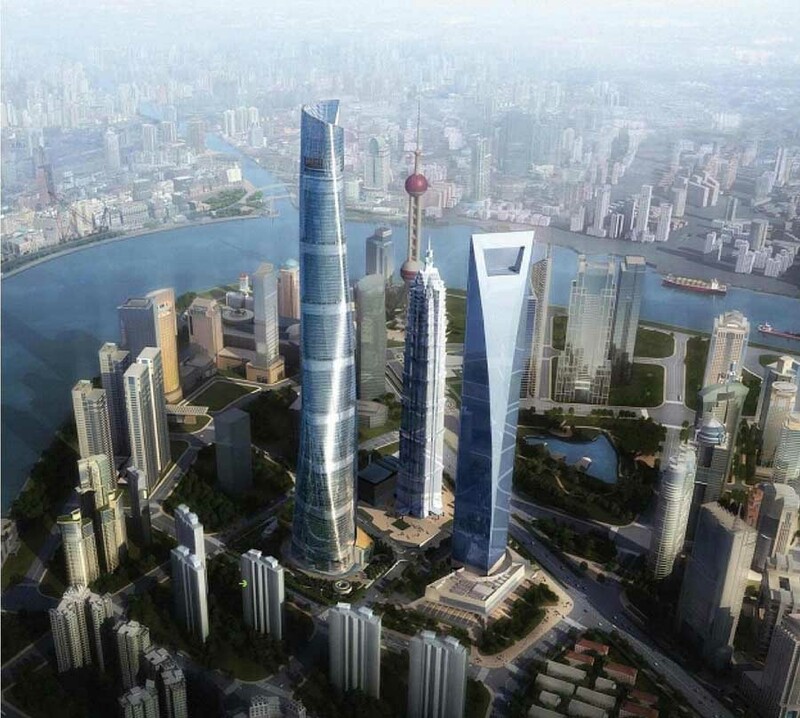 The three buildings are strategically oriented to divert circulation towards one of the world’s largest conference centres and the larger Hongqiao central business district.